Why they are on staff? 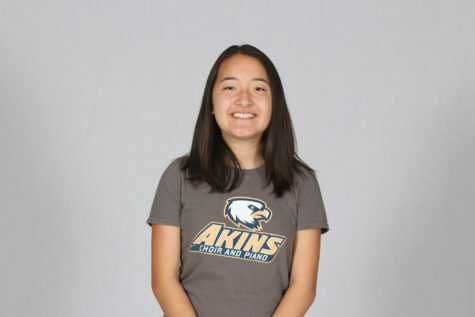 : Developing my professional writing skills and being an active member of the Akins community. What do you do for fun? : Play games, binge watching Netflix, calligraphy. What movie do you recommend that everyone watch? : The Princess Bride. Plans for after high school? : Studying architecture and (hopefully) becoming a residential architect. Hidden Talent: "I'm soooo good at balancing chemical equations."